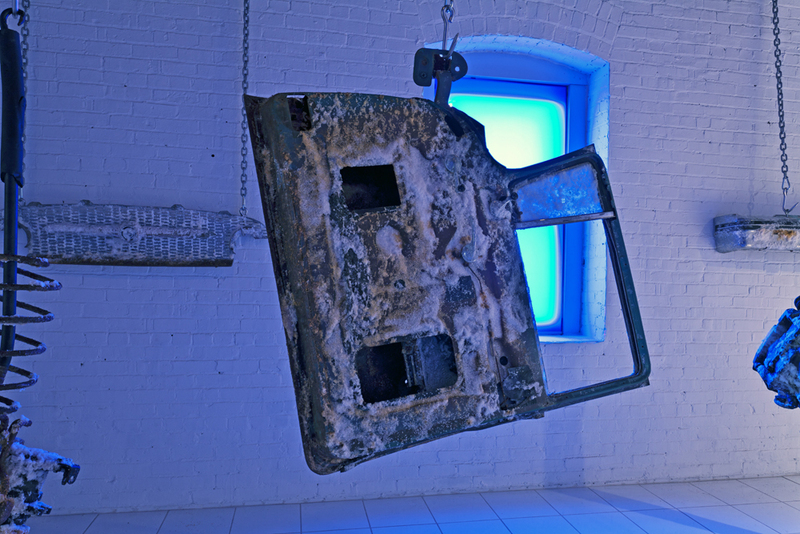 The blue light emanating from Russ Orlando’s sculptural installation transforms the gallery from a sterile institutional environment to one filled with intrigue. 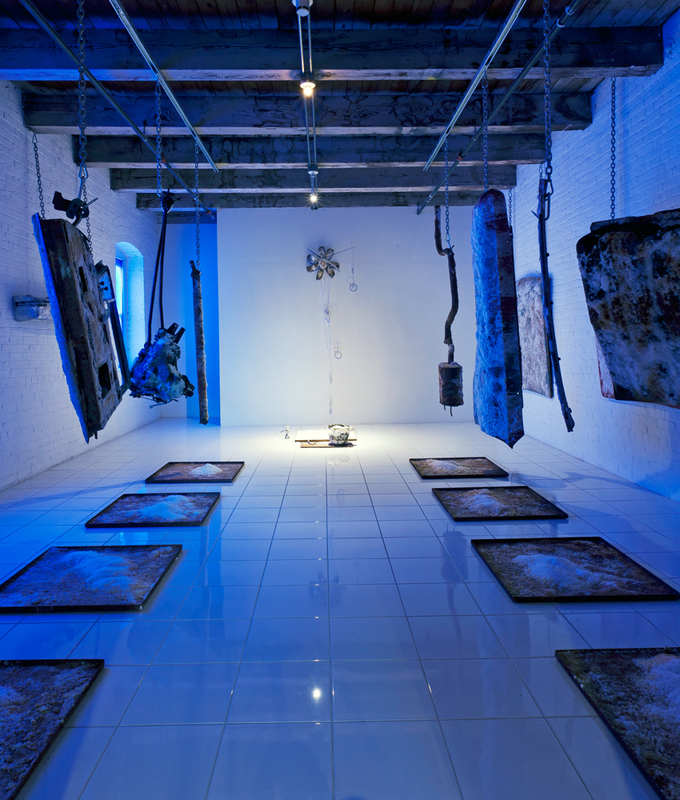 As part of the Detroit artists in residency exhibition, Orlando’s work features auto parts hung on meat hooks in various stages of salt curing. Referencing sides of beef in a slaughterhouse meat locker, the sculptures’ salt crystallization patterns juxtaposed with the discarded auto parts are quite beautiful and unusual. However, I question the artist’s conceptual metaphor of preservation as a means to heal—in this case the dying city of Detroit. I wonder, do we want to heal that which is dead or antiquated?